The term psychogeography sounds like it might describe a state of mental derangement but a French writer, Guy Debord, came up the word to indicate the way urban spaces affect our moods and feelings. His idea was to redraw a city’s map by making the familiar seem strange, to bewilder the city dweller with a new sense of the emotional intensities lying dormant in the streets and buildings. The term has been picked up and rendered voguish by writers like Will Self and Iain Sinclair but if you want more than an armchair experience of psychogeography then the place to head for is Tokyo. This city was the world’s largest in 1800 and over two centuries later it remains so. In a new book about the country’s food culture, Rice Noodle Fish, Matt Goulding calls it Tomorrowland and it is not hard to see why. The glitzy frenzy of neon, the waves of human traffic, the concentration of concrete that rises above and around you in every direction, all this is overwhelming. The thought of suddenly being here without a map or guidebook could induce anxiety and if you wandered below ground into the subway system, hoping to get some bearings, you might end up in a state of catatonic arrest. Exaggeration – yes – but only to a degree: for the first couple of days you need to be organized and know where you’re going. After that, things settle down and you think you know your way about but, as Bill Murray and Scarlett Johansson discover in Lost in Translation, Japan has a way of changing your perspective on life. There are ways of ameliorating the initial shock of being in Tokyo, beginning with a booked car ride from the airport (blacklane.com) that glides through the city night and draws up at a skyscraper that cannot possibly be a hotel but is. The Mandarin Oriental (mandarinoriental.com/tokyo) occupies only the top nine floors of the building and with its lobby on the 38th floor you feel like you’re on top of the world. And so it is, for come the light of morning Mt Fuji is there in the west and clearly seen from your bedroom window. Now you know you’re in Japan. Hopping on a bullet train and zooming off to Kyoto complements a stay in the capital for this is where you experience scenes that seem quintessentially Japanese (kyoto.travel/en). The only drawback is that millions of tourists come here for that reason and finding somewhere zen-like to stay and relax in is essential. Suiran, A Luxury Collection Hotel, Kyoto (suirankyoto.com), picturesquely situated by a river and a park with a bamboo forest, is perfect in this regard. 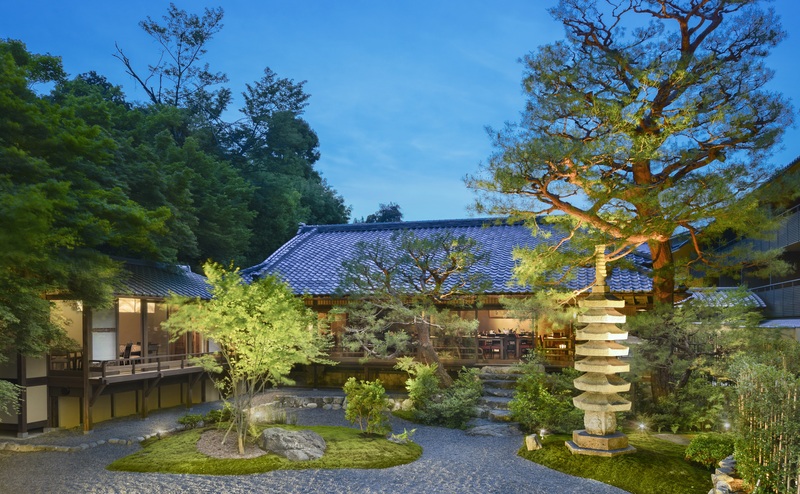 The hotel’s rock garden is a soothing sight at meal times, helping recharge the body’s batteries for sightseeing around Kyoto. The city has seventeen buildings with UNESCO’s heritage award so there is plenty to see. The city of Osaka completes the urban triumvirate in this region of Japan and it’s only half an hour away from Kyoto by train. There is something refreshingly normal about Osaka, maybe because on the subway and building escalators you stand on the right side – in Tokyo it’s on the left – but also due to the shopping scene along Midosuji. Skip the ultra-touristy shopping arcade at Shinsaibashi, which is aimed squarely at Chinese and Korean tourists, and head instead for Semba Center Building (semba-center.com). This is where the citizens of Osaka shop and around the corner awaits the St. Regis Osaka (stregisosaka.co.jp) where the reception area has a lovely Japanese garden and art work that puts the mind at rest. La Veduta, the hotel’s Italian restaurant, offers a much-needed break from Japanese cuisine and a visual treat with giant chandeliers clad in hundreds of tiny ropes. Japan has a lot to offer visitors who want more than skyscrapers and shopping malls and from Osaka there are flights with Japan Air Commuter (jal.co.jp/en) to the island of Yakushima where walks through ancient forests revitalise tired minds and bodies. The place to stay is Sankara (sankarahotel-spa.com): nowhere else on the island can match its facilities or its getaway location and after a day’s hiking there is a superb spa to relax in and an excellent restaurant. Back to Tokyo and a final Japanese experience at the Palace Hotel (en.palacehoteltokyo.com) where the art-conscious interior design cocoons you in a mini-world of culture and comfort. Wherever you go there are paintings, sculptures, glass, stone, etchings or murals while outside the low-level wall around the driveway is built of Aji stone, the same fine-grained granite that you can see across the road making up the walls of the moat surrounding the Imperial Palace. Aji stone is renowned for its crystal-like hardness, hence its choice as building material for the moat, and there is good reason to think the Palace Hotel has a long new life ahead of it. A government hotel opened in 1947 on the site, becoming the Palace Hotel in 1961 until its closure in 2009. Pulled to the ground and completely rebuilt, it reopened in 2012. In a space-challenged city like Tokyo, an added appeal to the Palace Hotel is the park area in front of it where you can stroll or jog without worrying about vehicular and human traffic coming at you from every direction. Japan Air Lines flies direct to Tokyo from London and has an extensive network of domestic routes (jal.co.jp/en). A Japan Rail Pass provides unlimited rail travel and getting one through Japan Experience includes a map and timetable (japan-experience.com). 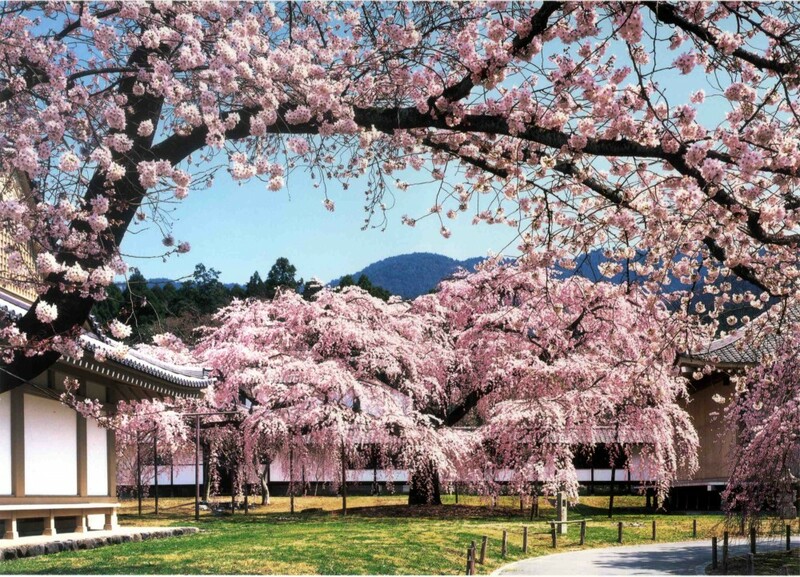 Lonely Planet’s Japan guide has detailed maps of Tokyo, Kyoto, Osaka and Yakashima and essential information on getting around.